Since 1982, César Ritz Colleges Switzerland has provided international hotel and tourism management education. Located on three campuses, the César Ritz Colleges Switzerland and Culinary Arts Academy Switzerland are situated in Le Bouveret, the University Centre is in Brig, Switzerland, and a recently opened campus in Lucerne. César Ritz Colleges Switzerland offers Hotel and Tourism Management Education. Academic subjects, practical training and foreign languages are encouraged in addition to business acumen and leadership skills. César Ritz Colleges Switzerland offer diploma, bachelor, postgraduate and master programmes in international business, tourism and hospitality management and have a global reputation for combining academic study with practical experience. A dedicated culinary programme is available through the Culinary Arts Academy Switzerland which takes place on the Le Bouveret campus. The programme of the Bachelor of International Business in Hotel and Tourism Management has a strong professional focus for students seeking a career in international hospitality and tourism management. Students combine practical courses and management subjects with the development of a personalized business plan in the final year. Qualifications have been designed to deliver an appropriate blend of skills and knowledge in academic disciplines, professional hospitality and tourism management and personal and social development. The joint Bachelor programme in partnership with Washington State University offers students the fantastic opportunity to graduate with both a César Ritz Colleges Bachelor degree in Hotel and Tourism Management and a Washington State University Bachelor degree in Hospitality Business Management. From the first day at César Ritz Colleges, students will study for both the César Ritz Colleges and Washington State University Bachelor degree. Internships offer a unique opportunity to enhance both practical and language skills, which are highly valued in the hospitality industry. A successful manager needs to be able to understand the role of every employee within an organisation; a great way to gain this knowledge is through internship experience. Internship periods of four to six months are an integral part of the academic programme. 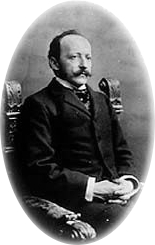 Born in 1850, as the thirteenth son of a modest peasant family in the canton of Valais, Switzerland, the now legendary César Ritz had to face multiple challenges and setbacks along his career, but managed to overcome those to write hospitality history. He went on to become the pioneer of true luxury hospitality known as “The King of Hoteliers, and The Hotelier of Kings” with his most prestigious accomplishment being the Ritz in Paris, still carrying his name. While his relentless focus on guest and customer experience within his teams was made clear in the famous phrase: “We are ladies and gentlemen, serving ladies and gentlemen”, the word “Ritzy” is still used to indicate an innovative style of hospitality and luxury. In 1986 Mrs Monique Ritz, daughter-in-law of the famous hotelier, and The César Ritz Foundation offered the Colleges to be named after Mr. César Ritz, "The Hotelier of Kings" and "The King of Hoteliers". The colleges follow César Ritz's legacy of excellence and dedication to guests and has as its mission to " educate graduates who are professionals and leaders who exceed customer and employer expectations through their persistent dedication of excellence". The student body consists of approximately 500 students of over 60 nationalities. Located in Le Bouveret, a small French speaking town on the shores of Lake Geneva, in a listed building that dates back to the early 1900s. The campus offers a Bachelor of Arts in Hospitality Business Management with Washington State University, a Bachelor of Arts in Culinary Arts from the University of Derby, and the Swiss Grand Diploma in Culinary Arts. The programme of the Hospitality Bachelor has a strong professional focus for students seeking a career in international hospitality and tourism management. Students combine practical courses and management subjects with the development of a personalized business plan in the final year. Qualifications have been designed to deliver an appropriate blend of skills and knowledge in academic disciplines, professional hospitality and tourism management and personal and social development. Le Bouveret campus has a formal dining room where students practice their skills and host events, and a separate cafeteria for every day dining. It is also the home of the Culinary Arts Academy Switzerland with specialized demonstration, application and production kitchens for students to learn hands-on skills. The Culinary Arts Academy Switzerland offers a unique experience - graduates will not only master the art of cooking, but will also acquire the tools and know-how to make their dream of becoming an entrepreneur in the world of culinary arts come true. The Culinary Arts Academy Switzerland offers state-of-the-art kitchens and multiple professional partnerships with industry pioneers to provide a 5-star educational experience. Graduates acquire the tools and know-how to bring their dream of being an entrepreneur in the world of culinary arts to life. The school offers the perfect blend of entrepreneurship and culinary skills to create an ideal education. With state-of-the-art kitchens and multiple professional partnerships on offer, the school prepares students for future culinary careers. University Centre César Ritz is located in the city of Brig-Glis, the largest German speaking town in the Valais region. Students live in purpose built accommodation of single rooms in the new Themis & Xenius building, located five minutes walk from the University. Accommodation facilities include student kitchens, laundry rooms, secure underground parking, student bar & nightclub, coffee lounge, internet access and student mobile phone network. Student recreational activities include free golf driving range and tennis courts, whilst the student committee organize activities and events all year round. The César Ritz campus is located in the heart of the city of Lucerne, in the impressive former Union hotel that was built in the 1900s and underwent major renovations in 2012. With over 12,000 alumni from all over the world, the César Ritz Colleges Switzerland alumni network has active chapters for members to maintain friendships and promote professional networking. 2013 César Ritz Colleges announces the University of Derby (UK) as its academic partner for all master's degree programmes and reinforces the status as an international hotel management institute, rooted in Switzerland. 2012 DCT becomes part of César Ritz Colleges and moves to Lucerne. Opening of the Lucerne Campus in the former renovated Hotel Union building. César Ritz Colleges introduce iPads as an interactive learning tool. 2011 Invision Private Equity AG acquires César Ritz Colleges Group. César Ritz Colleges joins the network of the Swiss Education Group. 2010 The annual European conference of the prestigious United Nations World Tourism Organization is held at the University Centre César Ritz in Brig. 2008 Opening of the 225 single room "Themis & Xenius" student accommodation in Brig. 2007 Partner school agreements are established in New Zealand, India, United Arab Emirates, Iceland and Peru. 2006 The first "Double degree" agreement is signed with the University La Sabana, Bogota, Colombia. 2006 The Leadership Programme is introduced at the undergraduate level. 2005 The first Swiss hotel management school receives accreditation from tedQual, the accrediting body of the World Tourism Organization. 2005 Mr Martin Kisseleff, President and Mr Bernhard Schwestermann, CPA, arrange a management buy-out. Dr W. D. Petri, former owner is offered the title of Honorary President. 2002 César Ritz Colleges Switzerland enrolls its 10.000th student. 2000 The first Master of Science in International Hospitality Management is launched in Switzerland at University Centre César Ritz, in co-operation with Manchester Metropolitan University, UK. 1997 Swiss Government authorities approve use of the name “University” for ICHA. The college is renamed University Centre César Ritz. 1997 US Bachelor's degree delivered in partnership with Washington State University. 1996 The International College of Management in Sydney (ICMS), Australia (formerly ICTHM - International College of Tourism & Hotel Management), opened with the César Ritz programme. 1992 Opening of the International College of Hospitality Management César Ritz in Washington, Connecticut, USA. 1992 Creation of the ICHA Foundation and opening of the International College of Hospitality Administration in Brig. 1992 Opening of the International College of Hospitality Management César Ritz, the first and only Swiss hotel school in the USA, located in Suffield, Connecticut. 1992 First US Bachelor's degree in hotel management in Switzerland in collaboration with the University of Massachusetts Amherst. 1991 Launch of the first hotel management postgraduate diploma programme in Switzerland. 1986 Opening of the Institut Hôtelier “César Ritz” in Le Bouveret, State of Valais, on the shores of Lake Geneva. 1986 The César Ritz Foundation in the Valais Region and Mrs Monique Ritz, daughter-in-law of the famous hotelier, did to the school the honour of allowing to name its colleges after César Ritz, "The Hotelier of Kings" and "The King of Hoteliers". 1985 The first Bachelor programme in hotel management in Switzerland is launched in co-operation with Washington State University (WSU), Pullman, WA, USA (2 years César Ritz + 2 years WSU). 1985 Transfer agreements are signed with several state universities in the United States, Europe and Australia. 1983 Opening of the second institute, the "Schulhotel Zillwald" in the health resort of Lax, in Valais. 1982 Creation of "Hotelconsult Management Company" and opening of the first college, the "Schulhotel Alpina" in Brig, State of Valais, by Dr Wolfgang D. Petri. ^ "Your Culinary career starts here". Culinary Arts Switzerland. 2016. ^ "César Ritz Colleges Switzerland". L'étudiant. 2016. ^ A.E. Hotchner. "As the Paris Ritz Shutters, Remembering Its Mysteries, Misbehaviors, and Unhurried Luxuries | Society". Vanity Fair. Archived from the original on 26 November 2013. Retrieved 18 November 2013. ^ "THE-ICE 10th IPoE (International Panel of Experts) Forum 2016". THE ICE. 2016. ^ "A partnership with César Ritz Colleges Switzerland". Washington State University. 2016. This page was last edited on 3 April 2019, at 13:42 (UTC).